For us, a new year in Budapest begins not with the first of January, but with spring. You know, the time, when trees, flowers and hormones begin blossoming. When cafés and bars open up their terraces. When our fingers and toes don’t fall off anymore once we go outside. And the time, when the best activities begin to take place outside, under natural sunlight. 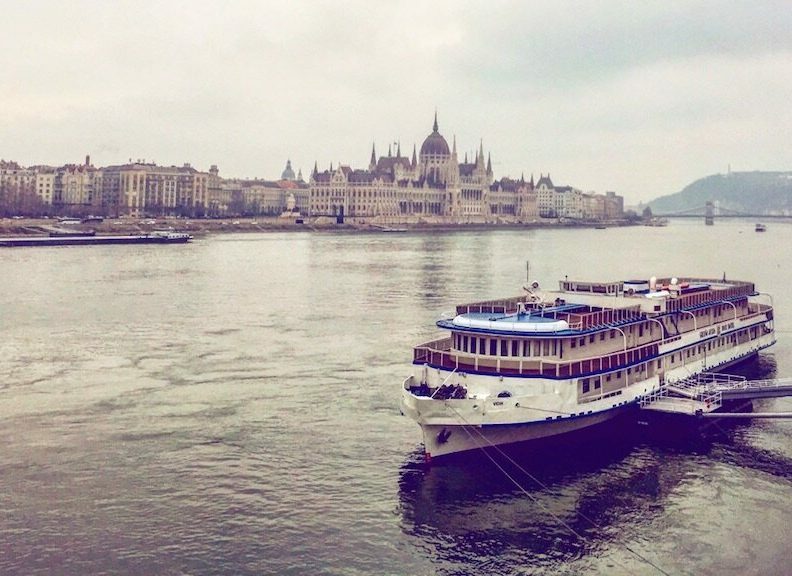 Spring is simply the perfect season to be in Budapest. It’s not too hot yet, and although rainy days still do occur, you can spend a lot of time outdoors under the best conditions. In order to bring Budapest and its full-on spring beauty closer to you, we have collected 30 ideas and activities that will help you make the most of your time in Budapest this spring. You can treat this collection as a bucket list or simply as an idea machine that’s always there to accompany you in the following months. Budapest ain’t Japan, but that doesn’t mean there are no blossoming cherry (and all kinds of other) trees all across the city. Nearly nothing makes spring more real than those little baby flowers sprouting in every corner, and no other thing in the world lets you feel the warm breezes more intensely than strolling beneath beautifully blooming plants. Live them, feel them, walk beneath them and enjoy! 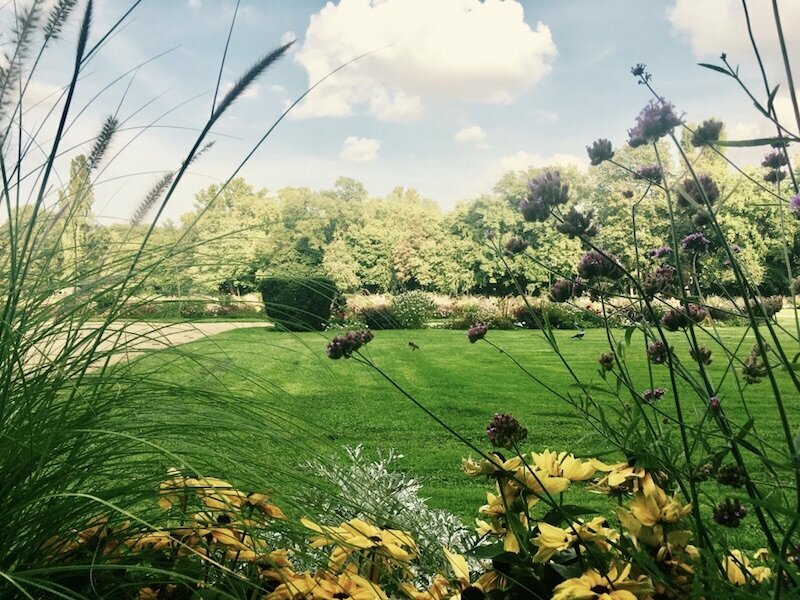 Füvészkert: The ELTE Botanical Garden – The botanical garden of ELTE-university or, as we call it, “Füvészkert” is actually tucked between some of the busiest streets of Budapest. Still, once you enter, you won’t notice any of this. Instead, you’ll find yourself right in the middle of a calm and colourful oasis where you can literally get lost for hours. Although the park itself is small, it is super wild and romantic and has many little hidden corners where you can relax, read a book and just take in your surroundings. Károlyi Kert – Although this little gem is located right in the very heart of Budapest not that many people know about it which is a total blessing.The surrounding old streets and buildings provide the Károlyi Garden with an extra special flair and it’s the perfect place to read a book or relax in the grass on a warm spring day. The Campus of the Veterinary University – The University for prospective pet doctors actually has one of the most atmospheric campuses of the whole city. Mingle with the students in this very green area surrounded by nice university buildings, feel the warm spring breezes and how knowledge and wisdom lie in the air. Although Budapest is not the city of thousand islands, it’s the city of at least three and all of them are worth checking out, especially during spring time! 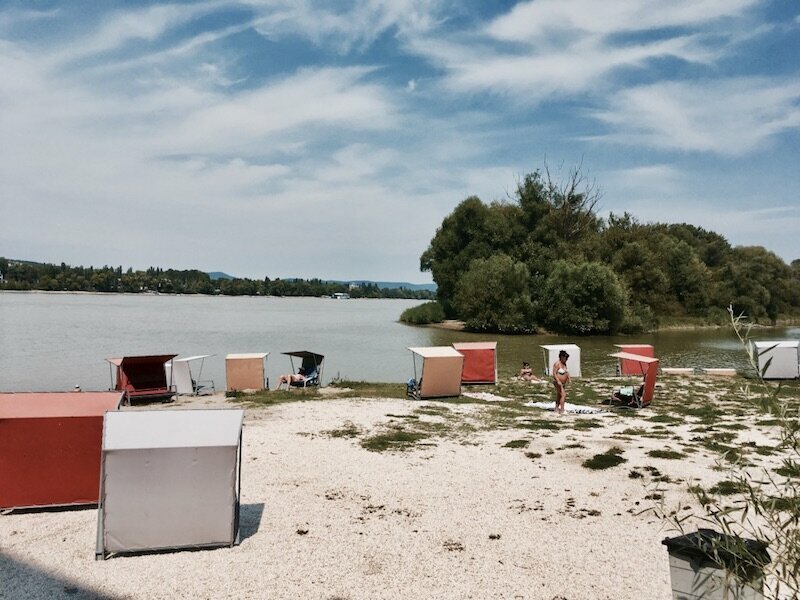 Népsziget – Strictly speaking only a peninsula, Népsziget sure has the deserted flair of an island. This special little abandoned paradise is a lot of things wrapped into one. It’s a place to get lost – rather uncontrolled plant growth results in a wilderness you can only dream of at Margitsziget, especially if you walk down its smaller paths. It’s also a place for relaxation – you can ride your bike, skate and you’ll find multiple little hideaways where you can just take a picnic or read a book and wind down. Since Népsziget once was a place for heavy industry, you’ll also find lots of old abandoned factories, as well as the remnants of former company summer resorts. The place definitely has an industrial charm which is creepy but somehow nostalgic and photogenic at the same time. Oh, and there’s also a mini goat farm which hosts ducks, as well! It’s run by the only permanent resident of the island, a retired employee of MÁV (federal railways). Weird? Weird! Margitsziget – Everybody knows it, but only few people know how much you can really do, see, experience and photograph here. So much that we’ve actually dedicated a whole entire separate guide to it. Explore Margaret Island like never before this spring! Óbudai Sziget / Hajógyári Sziget – Two names, one island. We could easily call Óbudai island the completely abandoned one, if it wasn’t for that one special week of every year. You guessed it right: This is the sziget, where Sziget Festival is being held, no, celebrated yearly and if you look closely, you’ll see how the grass is kind of worn out on the meadow where the main stage has been standing for decades. As for the rest of the year, the Island of Old Buda is peace in its purest form and nobody will disturb your picnic, me-time, romantic date or soul search here. Perfect for solitude, privacy and nature. Budapest’s guided walking tours are definitely more than just boring, worn-out tourist activities. Actually, they are a perfect way to discover the city in a more in-depth way. And also to hear about its stories and meet like-minded people. Get to know new districts and areas or dive deeper into the neighbourhoods you already thought you new. All of this with super knowledgable guides who are eager to answer every question you might have. 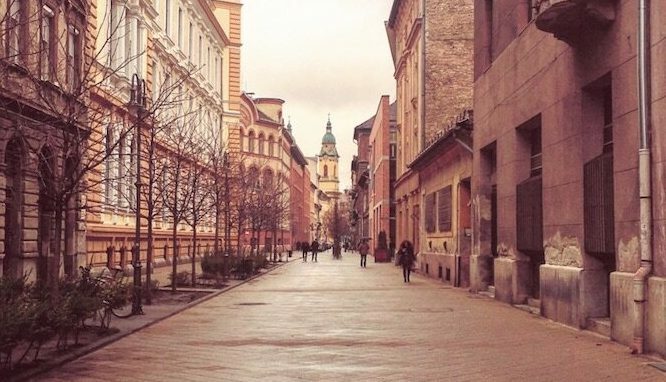 Join BudapestFlow’s walk through the lesser-known and secretive district VIII. Or get to know the city’s most beautiful buildings from the turn of the century with Hosszúlépés. 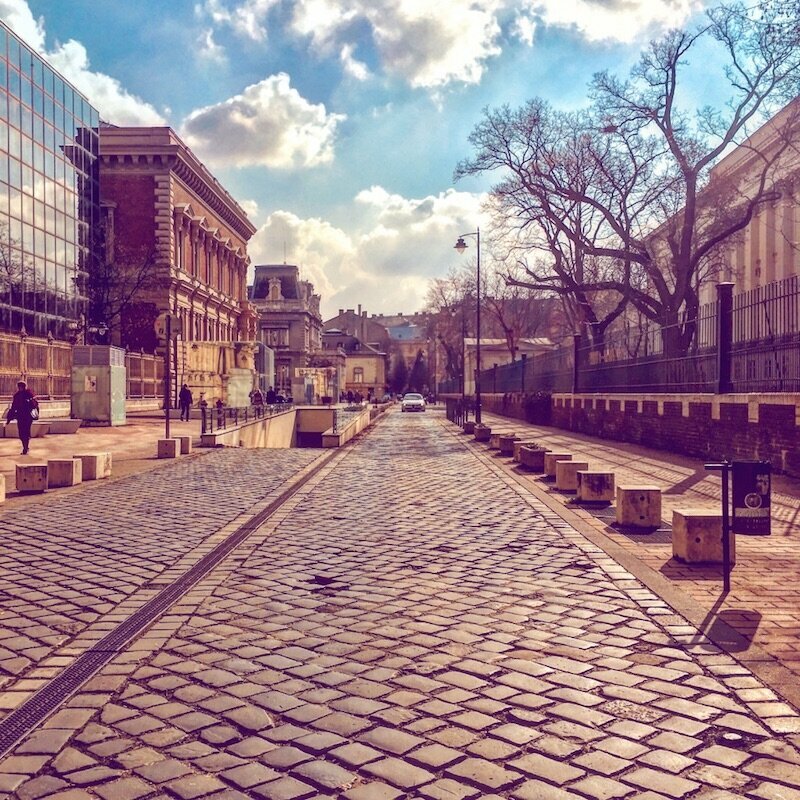 You can also visit secret gardens and squares downtown with Imagine Budapest. Really, the choices are endless here and these are just a few examples of getting below Budapest’s surface. In the end, it really depends on your own, personal interests which tour you join. But by any means, do it at least once this spring, as it will open your eyes and mind to facts and stories only few have heard before. Spring is the best possible time to explore new faces of a city. It’s warm, but not too warm yet and it’s sunny but not burning. To put it short: It’s the perfect opportunity to get out of your daily bubble. Dedicate this spring to exploration and decide to discover Budapest’s best kept secrets this spring. There is so much more to Budapest than what meets the eye, but unfortunately most people stay in their expat bubbles and end up seeing no more than the inner districts of Budapest. Which is a shame, especially if you are here for a longer time. If you’ve been with us for a while, you know that we’re avid explorers of the city and like to take you with us wherever we can. In order to help you start discovering the hidden layers of the city, we’ve written a free ebook about ten of Budapest’s best kept secrets which surely includes something for every taste. 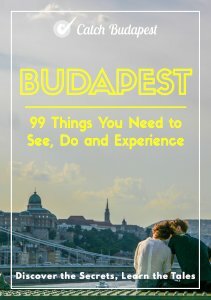 Grab it now and get to know a Budapest this spring only few people know of! Another awesome source to discover the best hidden spots of the city is Spotted by Locals. 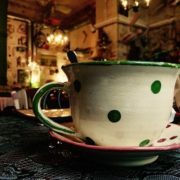 It’s a page (and app) where Budapest-people discover and write about the coolest hangouts in the city. Super inspirational! 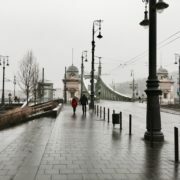 In case you want to connect exploring Budapest’s secrets with a bit of decoupling and head-clearing, leave your phone at home, as My Map of Budapest got you covered. This artsy and beautiful printed city map shows you the best places to eat, drink and hang out and even gives you a walking route for a perfect Budapest spring day. See, you don’t need your smartphone and the world wide web for discovery. Physical maps are not dead and let you experience the city like a little treasure hunt! Discover places only few have seen before! Stroll around Füvészkert, the wild and romantic botanical garden of ELTE University. Visit the József-hegyi lookout for an alternative and very undisturbed panorama of Budapest. Drink sparkling wine there in the evening and watch the stars. 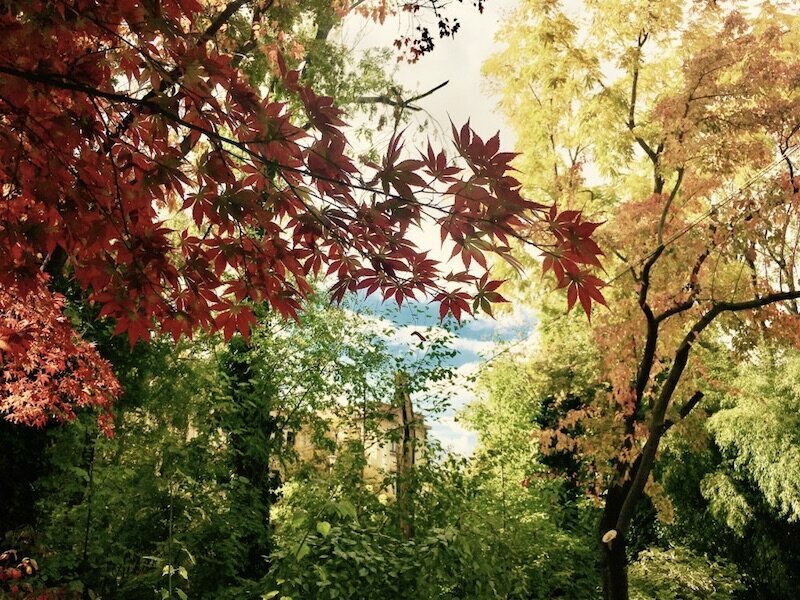 Visit Mansfeld Péter Park for a view with history. Have a picnic there and admire Budapest. Go for a night swim at Rudas Bath for an unforgettable wellness-experience. Stroll around on Széchenyi Hill and catch some nature and fresh air above Budapest. Visit the Wekerle estate and impress with your knowledge about this highly undervisited village within the city borders. While the ice cream season clearly peaks a bit later only, don’t be afraid to have an occasional probe-lick as early as April. That’s when most ice cream parlours will switch back to actual ice cream from whatever they’ve been selling instead during the winter months. Let’s all welcome these significant comebacks and indulge in the flavours! Levendula – goat cheese-, basil-, lavendel-ice; you name it! Unique tastes, scattered all across the city. Fragola – Although we loved their chimney cakes during winter too, ice cream is still their real thing and they do it super well! Gelarto Rosa – This isn’t ice cream, these are rose-shaped, heaven-sent fruity bits of refreshing little miracles you’ll see in almost every person’s hand in the Basilica area. We’re usually all for standing out from the crowd, but not this time. We’ve all seen them, we’ve all walked past them, we’ve probably sat on them. 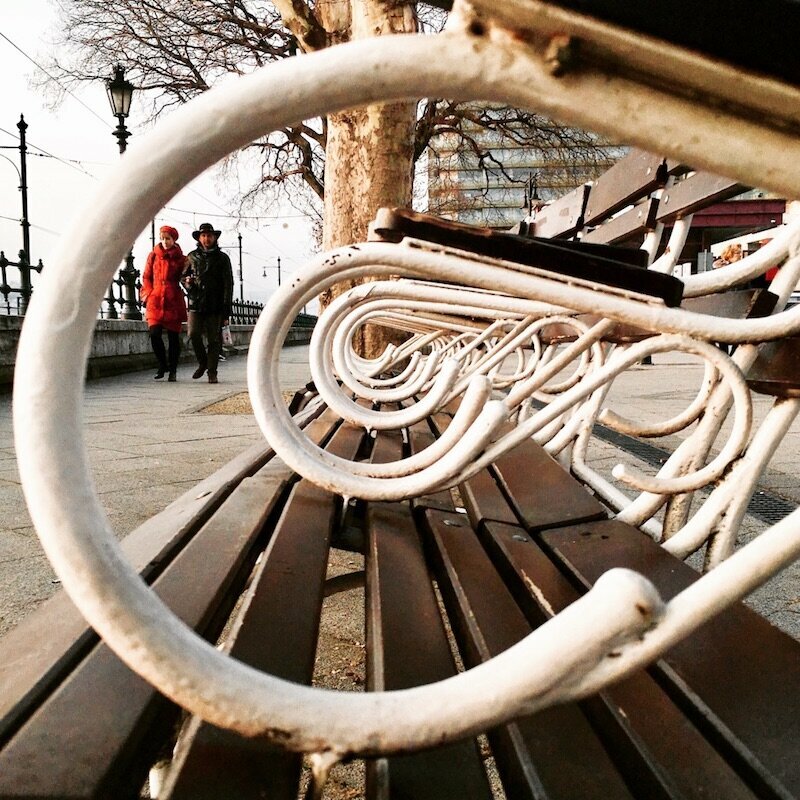 Still, only few people know about the history of the so-called Buchwald Chairs along the most famous part of the Danube Promenade – The Belgrád Rakpart. These spiral-shaped little things are named after Sándor Buchwald, a smart businessman of the early 19th century. He actually used to own the chairs privately and asked for 20 fillér (the former change-coins of forint) in exchange for letting people sit on them. Back at that times there were a lot more on these chairs; sometimes even 8-10 rows of them at one place. Allegedly it almost looked like in a theater. On Sundays after church you could meet the whole entire city at the promenade, fighting for one of them. Today, these chairs are free for everyone to sit on (heureka!) and they’re an even greater experience if you let yourself carry away and imagine how it must’ve been like here 100+ years ago. Do it this spring, if you haven’t done it yet. Close your eyes or stare at the Danube, feel its gentle breeze and travel back in time! Csendes Társ – The Csendes Bar shouldn’t be alien to anyone who’s spent a decent time in Budapest already, but Csendes Társ opening only for the warm months is the true cherry on top. 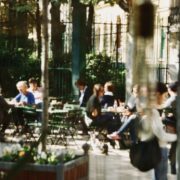 Located right at the entrance of the idyllic Károlyi Kert, this is a quiet little paradise right in the middle of buzzing Budapest. Their true specialties? Wine and homemade lemonade! Pántlika Pavillon – Városliget (The City Park) came a long way in the last years, and the Pántlika Pavillon is a prime example for that. The shiny and colourful wooden chairs make for a truly special and retro atmosphere and the burgers they serve are simply delicious. Fun fact: The Pántlika Pavillon is actually more than what meets the eye; and even more so from a historical point of view. During communist times, the HUNGEXPO (Hungarian “international” fair – trust us, there was nothing international about it during that times) was held in the city park. Since the communist leaders were afraid that the visitors wouldn’t find their way throughout all the stalls, they decided to build a huge information pavilion as guidance. So huge, that it was meant to be seen even FROM SPACE. You know, if any aliens decided to come, too. In order to make it unmistakable, the ground plan was a five-pointed star and the roof was made out of undulated aluminium. Today’s venue of Pántlika is actually one of the remains of this highly informative space. Bambi Eszpresszó – Bambi Eszpresszó is another amazing place for experiencing time travel in Budapest. If you’re wondering what a typical coffee house looked like during socialist times, this is your go-to place. Neither the interior and furniture, nor the menu (and its prices, really) have changed since 1962. The crowd is very mixed here. You’ll find people of literally all ages, some of them regulars for decades, as well as artists and younger people who come for the retro experience. Such as their interior, their terrace is also as retro as it can possibly get, bringing amazing variety into the often overdesigned cafés of downtown. A true peaceful Buda-gem you absolutely have to experience! Ellátó Kert – Ellátó kert grew on us a long time ago and it’s still a place we absolutely love to go to for a drink. Their garden is so lively and colourful that you’ll instantly feel right at home here. Somehow, Ellátó Kert managed to attract and keep a very loyal, local and easy-going crowd without becoming a pretentious place over the years. Even though it’s located right in the middle of the famous party district. 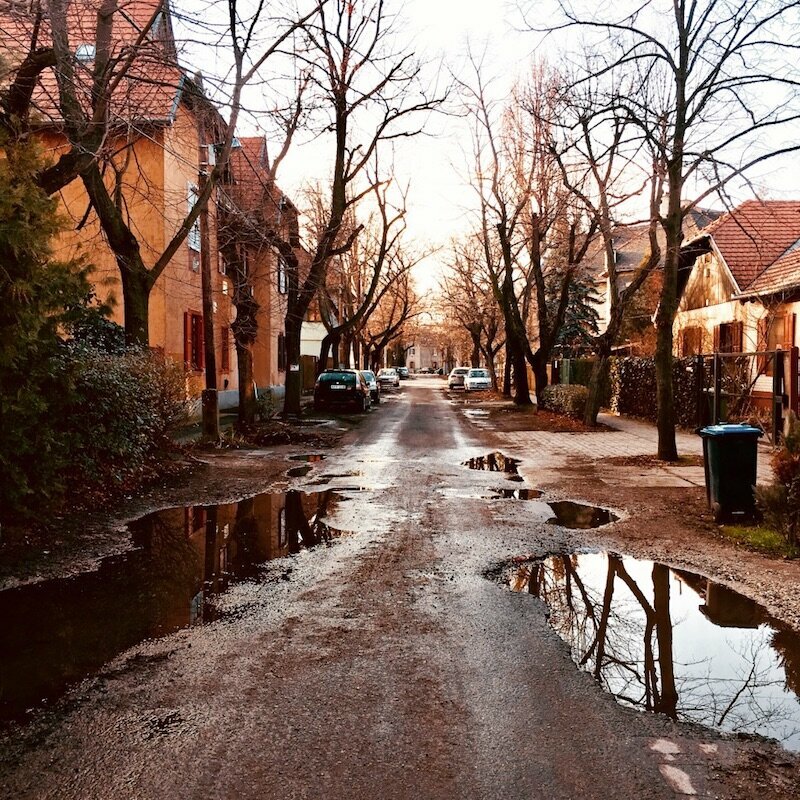 Kőleves Kert – Although the “Stone-Soup Garden” is definitely no hidden gem anymore, it’s still a place we wouldn’t change for anything in the world. Especially in good weather. Their huge terrace is a big oasis full of trees and the colourful wooden chairs and tables just want you to stay for hours and hours. Although the place is often packed, especially during weekends, you’ll always find a place to sit as there’s somehow always enough space for everyone. Kőleves Kert is also perfect for a bigger group of people and kind of the place to bring your friends from abroad to show them the cool Budapest vibes everyone is talking about. Pagony – Pagony is an awesome little secret of the Buda-side in a very unique location. This gastro-pub actually set its tables up at the former children’s pools of the famous Gellért Bath. 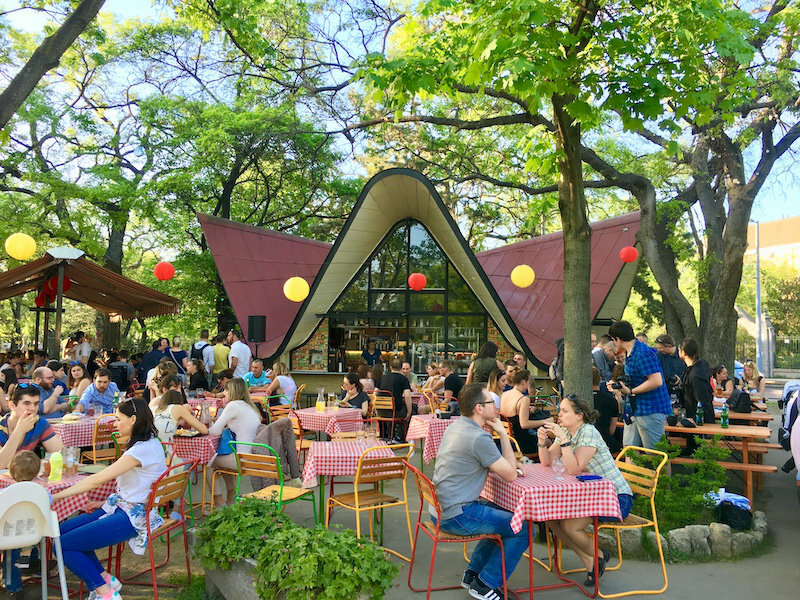 This means that you can literally drink and snack right in the middle of a dried-out pool which makes for a really special experience.It’s a laid-back place only few people know about and for us it’s clearly one of the most beautiful gardens of Budapest! Majorka – Majorka is another most valuable Buda player we love. What’s really special and unique about it is its venue: Note how the bar is located in a former electric transformer building. Sounds not as romantic as it actually turned out to be, so check it out yourself! You get to sit on wooden chairs with gravel below and huge trees above you. All this right next to the peaceful Városmajor Park. Definitely worth the trip from the centre! Kobuci Kert – If you don’t mind travelling a bit further or jumping on your bike, the Kobuci Garden is the go-to place for amazing vibes. This is the place to hear local concerts on almost every night (April 26 onwards) and kick back at a beautiful garden that is almost completely untouched by the inner-city tourism. Although Budapest is not Barcelona and in general the whole country is, like, very landlocked, the Római Riverside will make you feel like being right in a beach town. In case you haven’t heard of it yet, Római is located right in Òbuda (Old Buda) and is probably the best part of the Budapest-Danube once spring begins. It’s a place full of little buffets selling fresh fish, good feels and chilled vibes. But it’s also perfect for just taking a walk, relaxing and escaping the city buzz for a few hours. The true highlights? 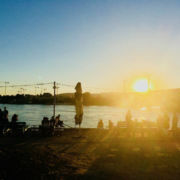 Visit Fellini (opens April 28thst) for an amazing riverside bar that’ll make you want to wear you bikini straight away, as well as Két Rombusz – an old bus that was transformed into a bar and hangout. Ròmai Part is perfectly reachable by bike from the centre and makes for an amazing day- or half-day-trip within the city. 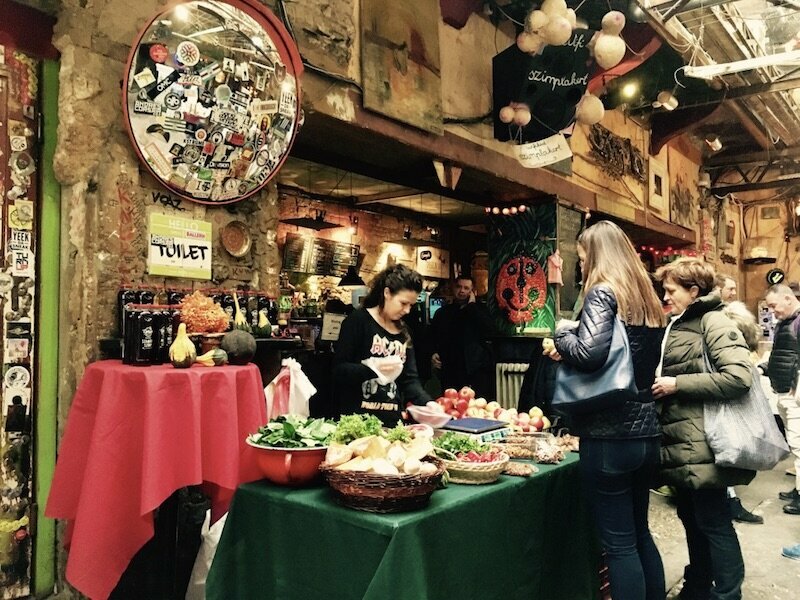 Budapest’s Markets are a delightful spectacle and a visit at one or the other always cheers us up. Sticking to the Great Market Hall only is a big mistake most tourists make when visiting Budapest. Which is a real pity, as there are so many more of them, waiting for you with open arms and the freshest goods. 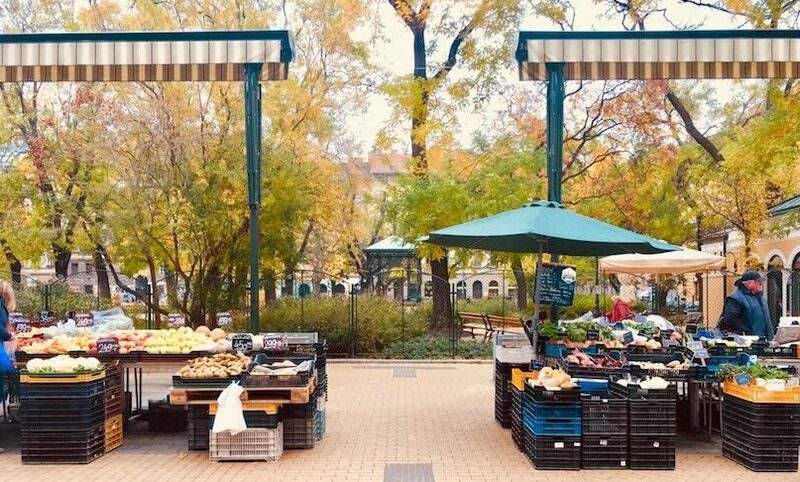 We could go on about the many markets of Budapest forever, so we’ve rather dedicated an entire article to them where you can pick your favourite, or simply visit each of them one by one. Enjoy! How about spending the early morning at a market and grabbing your breakfast there to eat it outdoors afterwards? Sounds good? Here is everything you need for a proper hearty Hungarian breakfast. All of this is available at whichever market you choose or live close-by. Kolbász – the sausage of all the world’s sausages. Always made out of coarsely ground meat, paprika and spices. The best one? Definitely go for the woolly pig (“mangalica”) kolbász for a truly magyar experience. Pogácsa – a typical pastry made out of baked bread, spiced up with sour cream, greaves or potatoes. 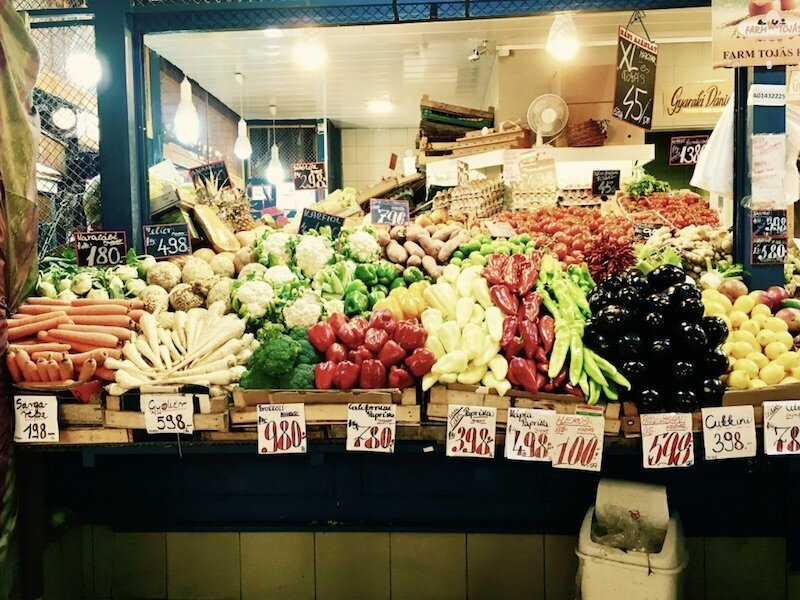 Fresh Vegetables – whatever you want! paprika, tomatoes, cucumbers, onions – knock yourself out! Kakaós Csiga – The so-called “cocoa-snail” for the sweet-toothed. A delicious calorie bomb to drop in the morning! Fresh Juices, a Coffee or a Tea – whichever you prefer. Done shopping? Pick your favourite park or island and enjoy the goodness. Happy feasting! 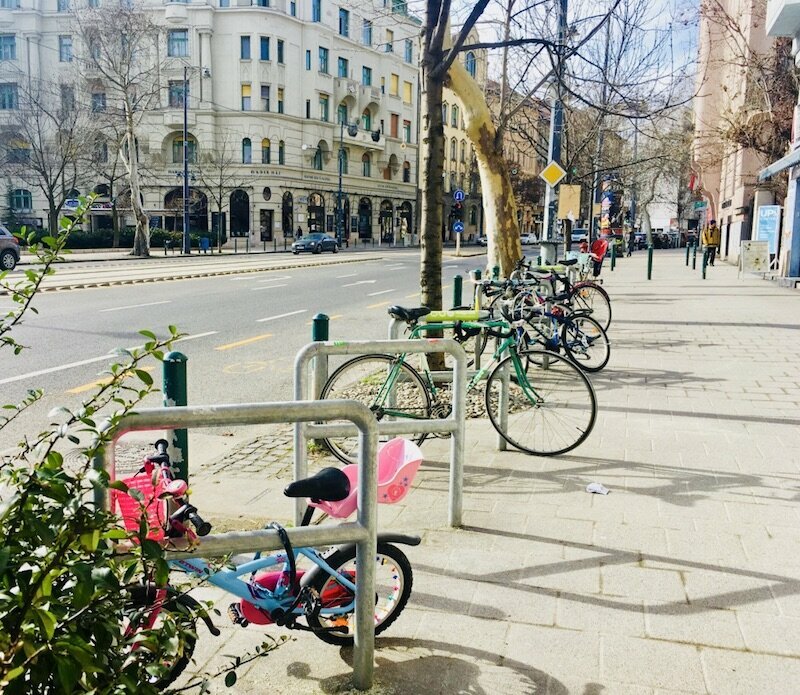 Although Dutch people will probably ache if we say that Budapest is a great city for biking, hear us out. There are actually really great biking routes and lanes within the city borders, if only you manage to stay away from the two körúts (ring roads). Cycling routes are evolving in a fast pace in the city and even most of the inner city streets are pretty bikeable. Consider biking to work or university once the weather gets warmer or join one of the guided bike rides in your free time. There is nothing wrong with participating in tourist-tours, as long as they add value to your stay and life in Budapest and exploring the city with like-minded people is one of the best things you can do in spring! Worry not, if you don’t have your own bike in Budapest, as MOLbubi’s public bike stations got you covered. Their bike-pickup points are all across the city and you can have them wherever you want and are for a very reasonable price. 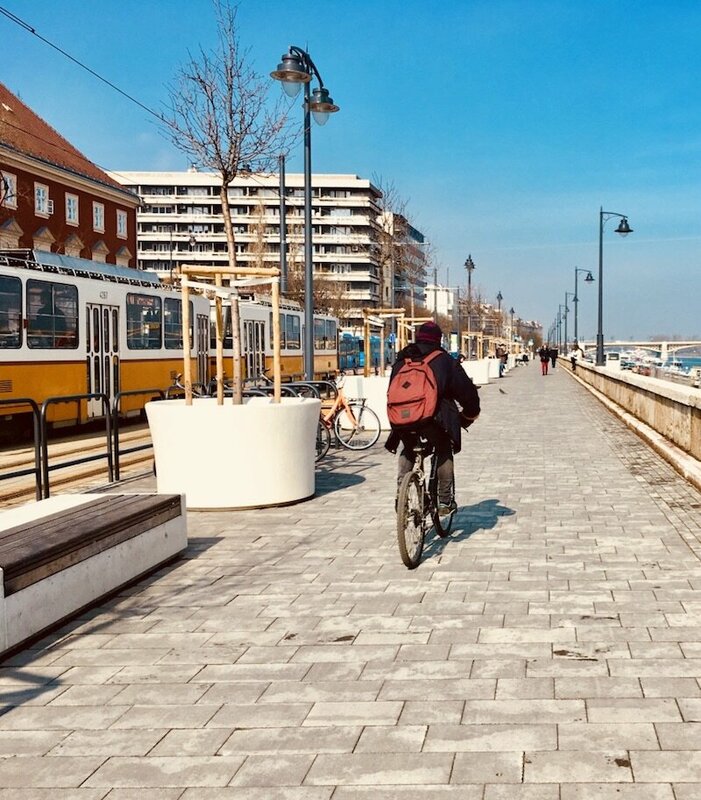 For the ultimate city-cycling experience for a day definitely join the I bike Budapest tour on April 28, 2019, when all of Budapest turns into one huge bike lane in the name of a greener and more liveable city. More info: Find every info, including the route and exact starting point here. … but jump straight on! Budapest Tavaszi Fesztivál (Budapest Spring Festival) – The Budapest Spring Festival is a huge event taking place all across the city, at multiple venues between April 5th and April 22nd. It basically exists to make sure you’ll never get bored for a whole entire month. See a multitude of concerts, join a walking tour, listen to a reading or see a theatre show. Many events do have require a fee but there are lots of free ones, too. You’ll sure to find something that matches your taste and budget. Budapest100 – If you’re after something truly unique, mark May 4 & 5 in your calendar, as that’s when the girls and guys of Budapest100 (a community concentrating on Budapest’s often not-so-obvious beauty that surrounds us every day) opens the doors to Budapest’s most interesting Bauhaus buildings that are usually not open to the public on any other day of the year. An absolute must-see for real Budapest lovers and an unforgettable opportunity you should definitely grab. Find all the necessary info about Budapest100 2019 here. And no, we don’t mean all these fancy tourist boat cruises. Actually, you can have all of that beautiful Danube-panorama for just a single BKV-ticket and there’s really no need to pay for a flashy dinner, as you can bring your own food, drinks and atmosphere. All you have to do is hop on boat nr. D11 of BKV at Népfürdő utca and enjoy the ride down the river with all its beauties. The Wekerle Estate: District XIX. –The Wekerle estate is a little rough diamond in the middle of an otherwise very industrial part if Budapest. Come here for a truly special village-in-the-city experience and feel like entering the setting of a fairy tale. This little community is a garden city located in the XIX. district (Kispest), built at the beginning of the 20th century. At the end of the 19th century Budapest’s population grew explosively, because people from the countryside were seeking work in the capital. Wekerle was built for them originally. Since these were countryside-people, the estate was specifically designed to resemble a village. And this is exactly what it is today: a colourful, quiet and peaceful little entity in the middle of a city of 1.7mio people. Beverly Hills: District XII -If you want to enter the bubble of Budapest’s rich and famous, get yourself pretty much anywhere in the 12th district. That’s where many of Budapest’s villas stand. This is the good life in the hills baby, high above the city, with stunning views, private schools and no good reason to ever get yourself to dirty downtown, unless you want to. But District XII is about a lot more than just a niche for the rich. Come here to admire Budapest from above: The Buda Hills have the most stunning views over the city and all its icons, like the Danube, the Parliament and the Basilica. Plus they make for stunning day trips in nature – Széchenyi Hill is the perfect getaways from the city buzz. Ride the cogwheel rail up there and take the Chairlift from János hegy down again. In-between you can enjoy the view from the highest point of Budapest: Elisabeth lookout. The Merzse-Swamp: District XVII – Beware, beware, you are leaving Budapest as you know it if you decide to go down that road; hardly even any aboriginal Budapestians make it to the Merzse Swamp their whole entire life. Which is a pity but an advantage at the same time: This nature reserve is so peaceful, calm and unspoilt that you’ll seriously ask yourself whether you’re still in the capital. What you’ll find here is a really special microclimate, flora and fauna that will truly unite you with nature again for a day. Perfect for a big escape with little effort. We went during Winter, but the Wekerle Estate is beautiful in every Season! 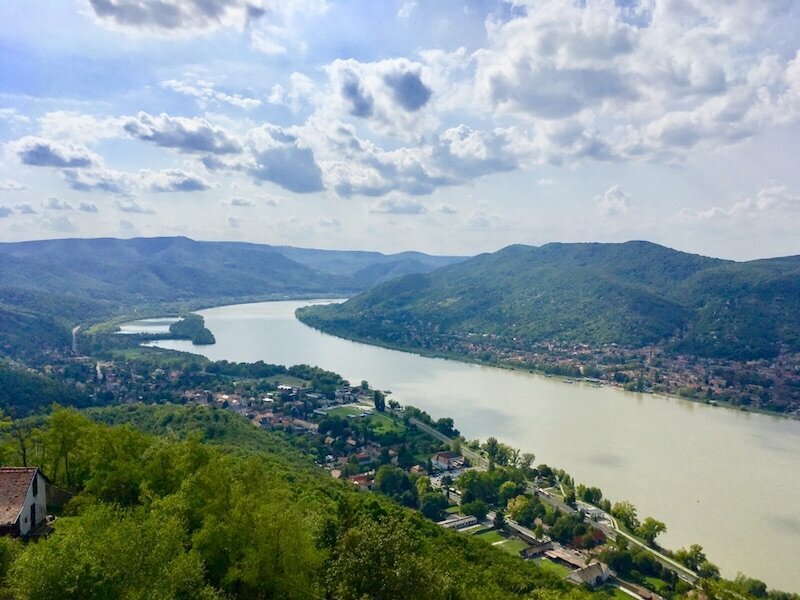 Zebegény, Visegrád and the Danube Bend – a perfect day- or weekend-trip. Your best bet for hiking, cycling, bucolic villages and beautiful views. 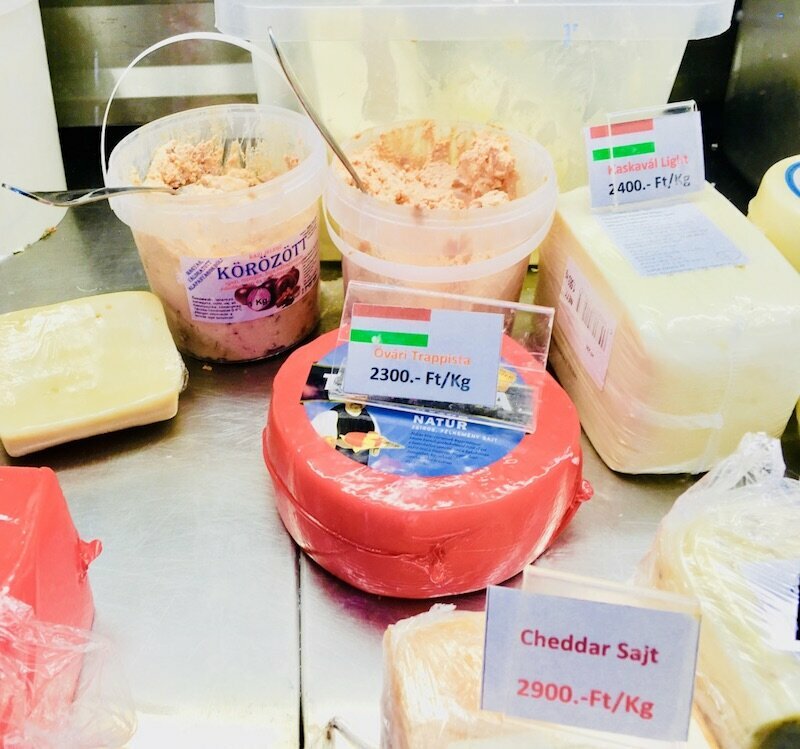 Gödöllő – A baroque castle, secessionist buildings, a botanical garden, hiking opportunities, a quarter for applied arts and plenty of good and hearty food opportunities to cure your munchies. 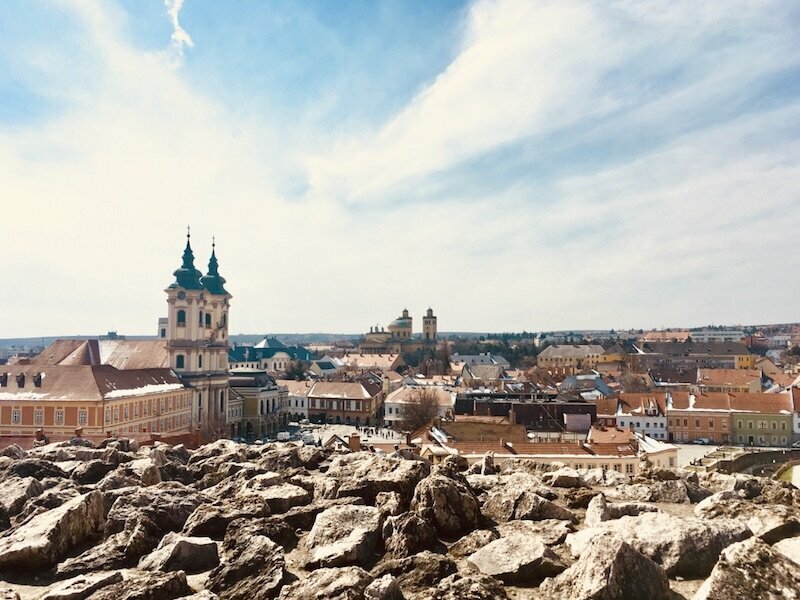 Eger – a two-hour ride from Budapest will bring you to this amazing city of wine and history (of Ottoman Hungary). Indulge in the country’s finest wines, visit the beautiful Bükk National Park or the little but beautiful village of Noszvaj nearby. Perfect for even multiple days. Szentendre – the classical Budapest-daytrip we’re sure you’ve heard of already – and for good reason. An amazing art quarter, a beautiful Danube promenade, good food and picture-perfect cobblestoned streets make Szentendre a great day-trip from Budapest. Little Balaton (“Kis Balaton”) & The Kányavári Island – Many people don’t know that Lake Balaton doesn’t end in Keszthely. Quite the opposite – a whole new level of flora, fauna and wildlife opens up once you leave the official shore of the lake at its Western end. Ever heard of the Kányavári Island and surroundings? It’s the perfect place for bird-watching, exploring and relaxing before the big lake comes to life in the summer. A true insider tip and a place only few non-Hungarians make it to. While the Kopaszi Dike located right at the Lágymányosi Bay used to be an abandoned and run-down part of the city, today it’s one of the best recreational areas you could think of. After 2006, all the waste-mountains got removed, beautiful greenery was planted and tip-top cafés, bistros and restaurants started opening up. It’s one of those waterfront places where you can come alone, with friends, do yoga, bring your kids, lie in the sun and do whatever. The only thing you can not do though, is bring your dog, as the place is not dog-friendly (yet). For the ultimate spring experience allow yourself a bite at Fruska Bistro (opens April 1) and look across the water with a fröccs in your hand. Priceless! Admittedly this is not the most elevating spring activity one can imagine on sunny spring day, but hear us out. Budapest has a wide range of really beautiful cemeteries that are not just about mourning the dead, but celebrating the lives lived. 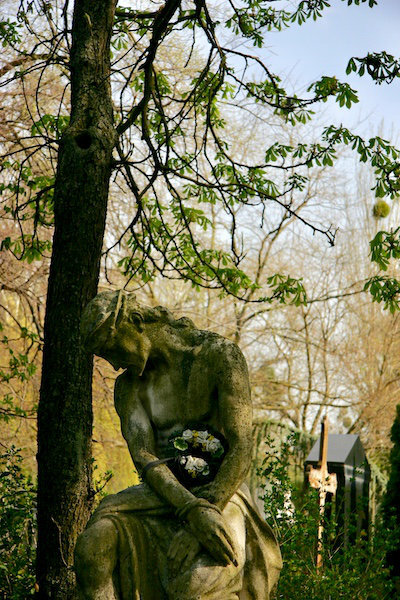 Budapest’s cemeteries are green and tranquil places perfect for long and aimless walks between the graveyards. Kerepesi Street Cemetery buries many of the greatest Hungarians who received some impressive tombstones – it’s more like an open-air museum that gives a great insight into Hungary’s past and history. Talk to poets, writers and freedom fighters; actors, actresses and politicians. This is the place where Endre Ady, Mari Jászai and Mihály Vörösmarty are sleeping forever and if you listen closely, you can still hear them telling their stories through the trees. The Jewish Cemetery of Kozma Street on the other hand enchants with its little paths in-between the graveyards. Once you’re done with a proper spring cleanng and bringing some order into the chaos, reward yourself with some freshly cut flowers. It will all the rooms look so much better and happier; promise! Luckily, you don’t have to go all into the wild and pick them yourself, as Budapest has flower stands at basically every corner, some of which are even open 24/7 (no joke!). 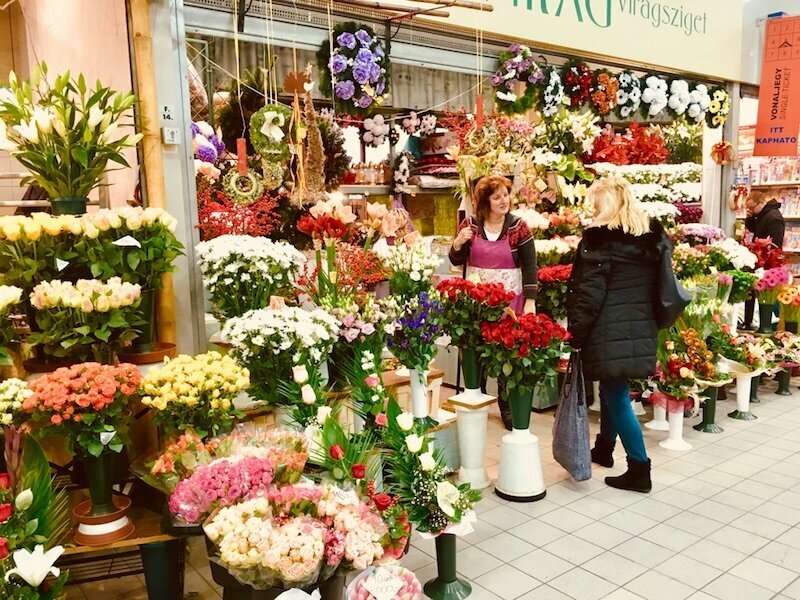 Still, some places to get your colours are nicer than the others: Visit Fehérvári Street Market for a whole floor dedicated just to flowers and nothing else. Pure joy! Or take a look at Arioso, a flower- & furniture shop- & café right in the city and treat yourself with a bouqet in a friendly atmosphere. If a bunch of flowers on the other hand is too old-school for you, we highly suggest you visit Plantethics at CikkCakk (right in the Paloma designer-courtyard). Their mission is all about nurturing a sustainable relationship between plants and humans and their products range from plant-induced witty jewellery to home decor. What a beautiful mission to keep in mind for spring! 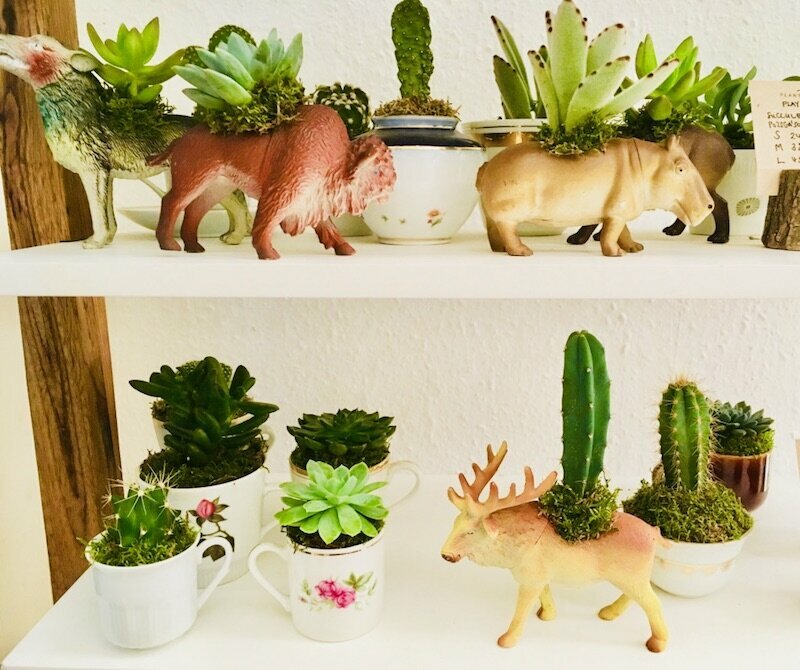 By any means, decide to bring some nature home this spring in whichever form, as it will enhance your well-being significantly and sustainably. Apropos enhancing your well-being: Have you thought about trying outdoor-yoga? You know, being sporty and flexible under the sun and shady trees? Sounds good? Many people (including us) would like to do yoga regularly, but actually getting on the mat and doing that sun salutation every morning can be daunting. So why not start with baby steps, in beautiful surroundings, and only once per week? Margaret Island and its Margitszigeti Jóga got you covered. Classes take place every Sunday at 10AM on “Nagyrét” (right behind the Széchenyi Restaurant) from the 21st of April onwards. All of them are free of charge and donation-based and welcome everyone regardless of “level” and fitness. What a super-great initiative and a perfect step towards a healthier lifestyle and a summer-body. 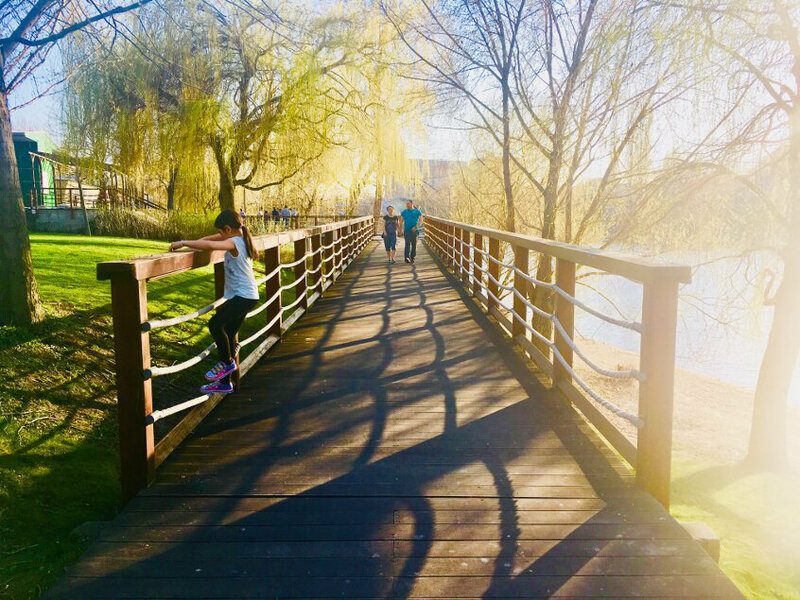 Spring, outdoor sports, meditation and mindfulness stick together like peas in a pod and if the place where Gandhi and Jesus Christ hold hands isn’t the perfect place for the latter two, we don’t know what is. The Philosopher’s Garden is an amazing hidden spot right on the other, less visited site of the famous Gellért Hill. You’ll see sculptures of great philosophers next to each other in a circle, symbolizing tolerance and peaceful co-living regardless of convictions *sigh*. 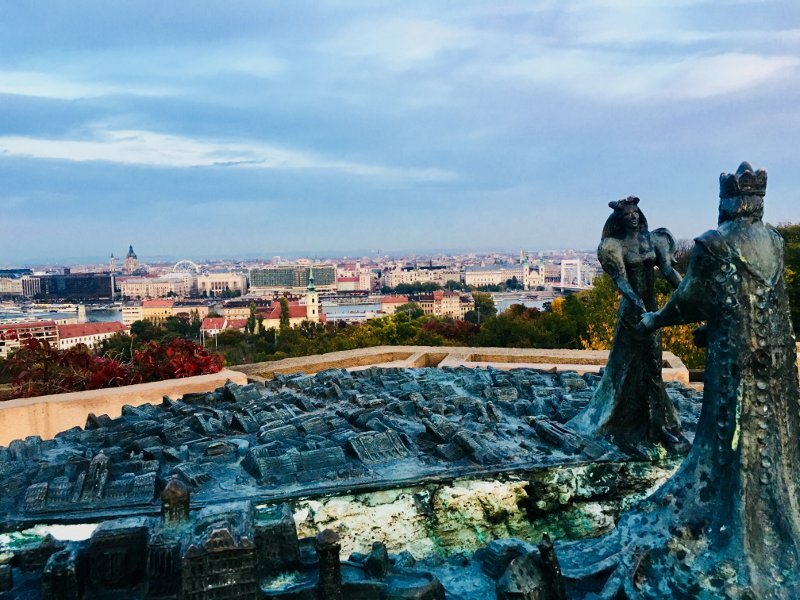 Plus Buda Prince and Pest Princess are holding hands above a miniature Budapest while the whole city extends below your feet in a beautiful view. We love coming here for quiet moments and mindfulness and recommend this little garden wholeheartedly if you long for a bit of inner peace away from the often hectic city. We all know the saying that happiness comes from the little things. Budapest has plenty of these to offer and once you learn to pay attention to them, you’ll notice how little batches of joy will enter your everyday life. The next time when you’re commuting, hurrying or otherwise making your stressful way through the city, try to give happiness a chance. 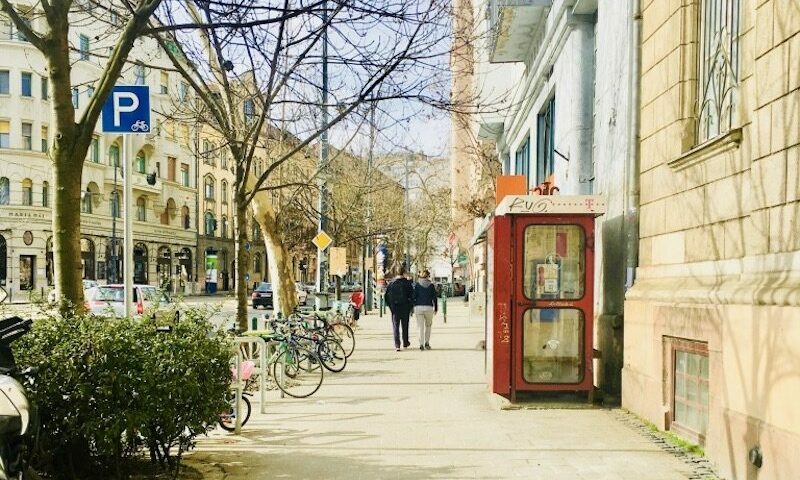 Slow down and appreciate the tiny adorable things about Budapest that we just too often take for granted. Enjoy the fact that you can now look up without the cold wind blowing into your face. Old phone booths, beautiful manhole-covers, open-air bookshelves, you name it. The list could be literally endless, but we have collected our favourite tiny beautiful things to adore about Budapest this spring here, for you to enjoy. May these adorable red phone-booths never disappear! Finally, your hands won’t fall off anymore when eating on the street. Budapest has so many great takeaway food and drink options that you’ll literally never stay hungry during your walks and explorations. Enjoy a cup of delicious soup in the sun from Leves. or Bors, stuff yourself with takeaway pasta from Pasta. or simply drink a coffee-to-go (Kaffeine and fekete being our personal favourites) without your fingers freezing. Note that although Budapestian laws are really hard on food trucks, the city nevertheless has a thriving scene that makes curing your munchies pure joy. And in spite the fact that the trucks are not allowed to drive around on the streets, food truckers found an amazing way and place to sell their goods at the Karaván food court located right on famous Kazinczy Street in district VII. Here, you’ll get everything from Zing‘s burgers, Kolbice‘s kolbászes, Paneer‘s fried cheeses and so much more. 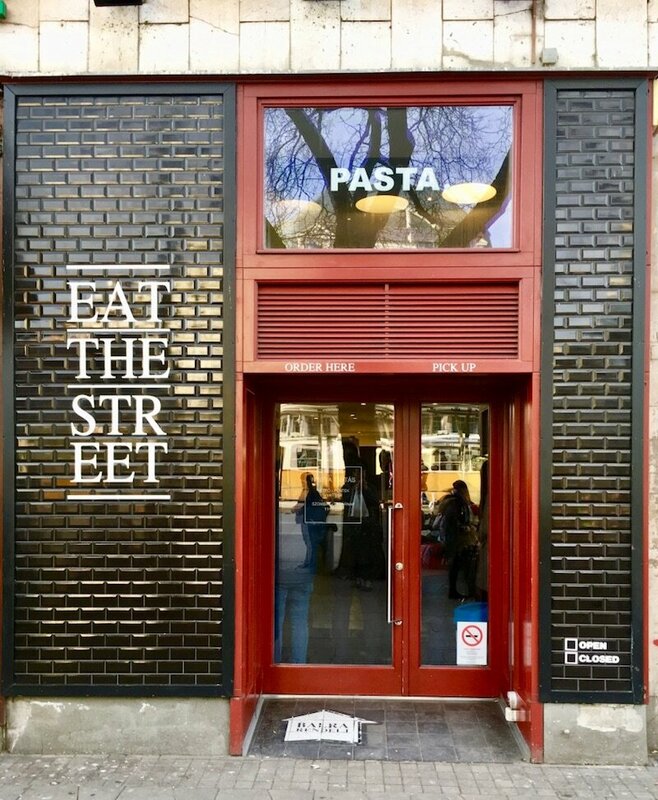 Eat the Street @ Pasta. No need to deceive ourselves. Spring is not summer and there are sure some ugly, rainy and wet days ahead of us in April and May. 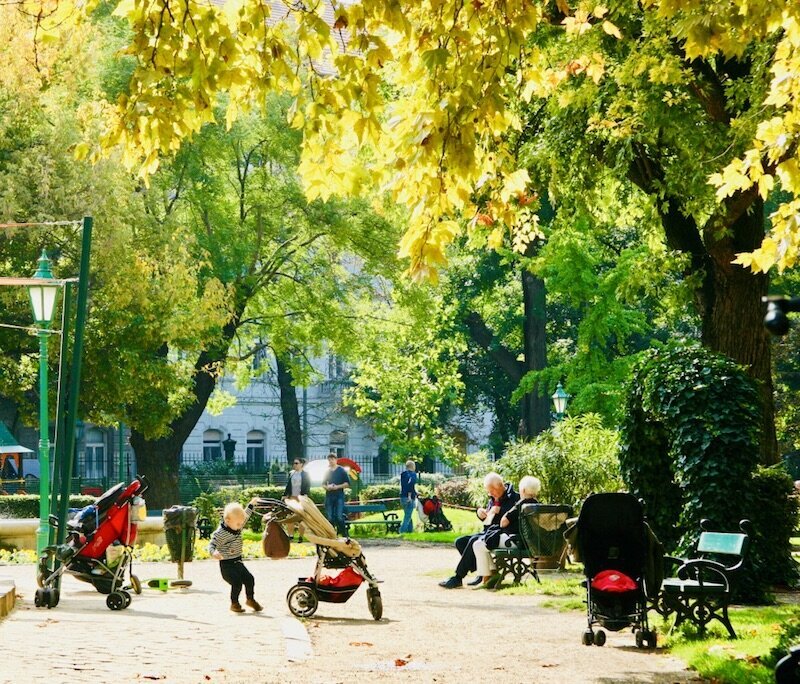 Luckily, you don’t have to spend these outdoors or crawled up in your bedroom, as Budapest has great places up its sleeves for you. Actually, the city is full of heavenly cozy cafés where you can hear the rain pattering against the windows from inside and sip a delicious coffee, tea or lemonade. Have you heard of Rengeteg Romcafé already? Best-ever hot chocolate in town! Or Kék Ló, where you get awesome vegan food next to your latte? 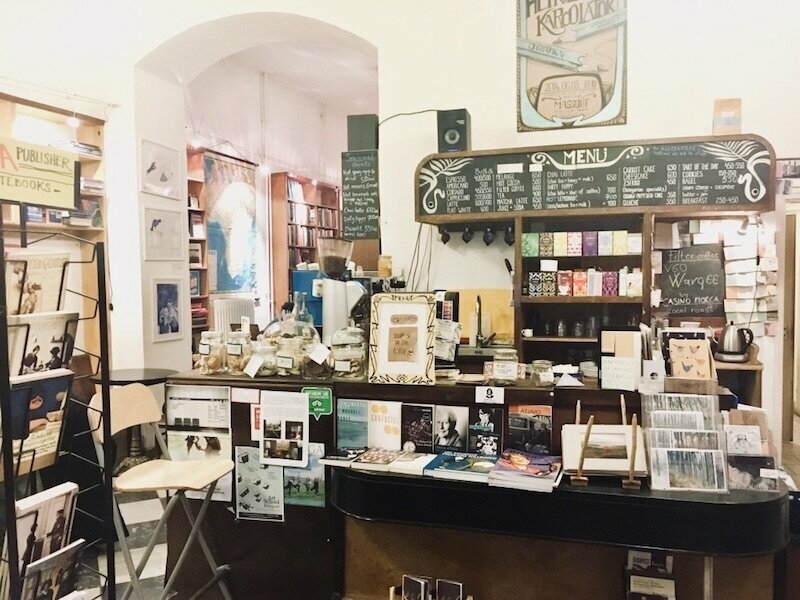 How about Massolit, an amazing café stuffed with books? 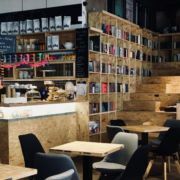 There are so many nice cafés in Budapest for the rainier days of spring, that we decided to dedicate a whole article to them, so that you can easily pick your favourite and decide which one you want to cuddle up at. And don’t forget: The sun will be out soon again! In case you’ve never heard of it yet, it’s high time. WAMP is a huge design fair happening at least once per month in Budapest. It’s the place where young Hungarian and international artists and designers come together to showcase and sell their products. It’s an amazing initiative and a great opportunity to get to know the local designer and artist community. Expand your colourful spring wardrobe here and vamp up your flat with witty accessories. Or buy a small present for someone you love. Just because it’s spring. You can see all the upcoming dates of the fair here. There is more to Budapest’s vehicles than cars, buses, trams and the BKV as you know it. How about riding the “Libegő” (chairlift) up to János hill? Or the little cute and red “Fogas” (funicular) through the trees of Széchenyi Hill? Get your tickets inspected by (voluntary!) 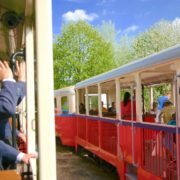 children on the Children’s Railway, as you make your way through the Buda hills. 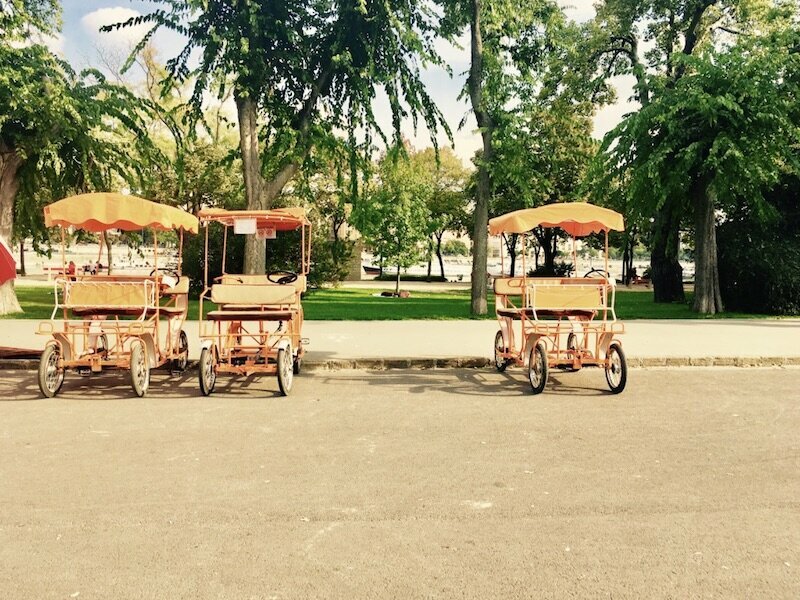 Or take your fate into your own hands and ride the “Bringóhintó” on Margaret Island. You see, plenty of choice for enchanting little rides. The best thing? All of these peculiar vehicles are located or lead right into nature. This makes them perfect start or ending for any hike or general escape from the city buzz. Although the festival season only kicks in in summer, there are really cool locations, where you can see open air concerts from as early as April onwards. 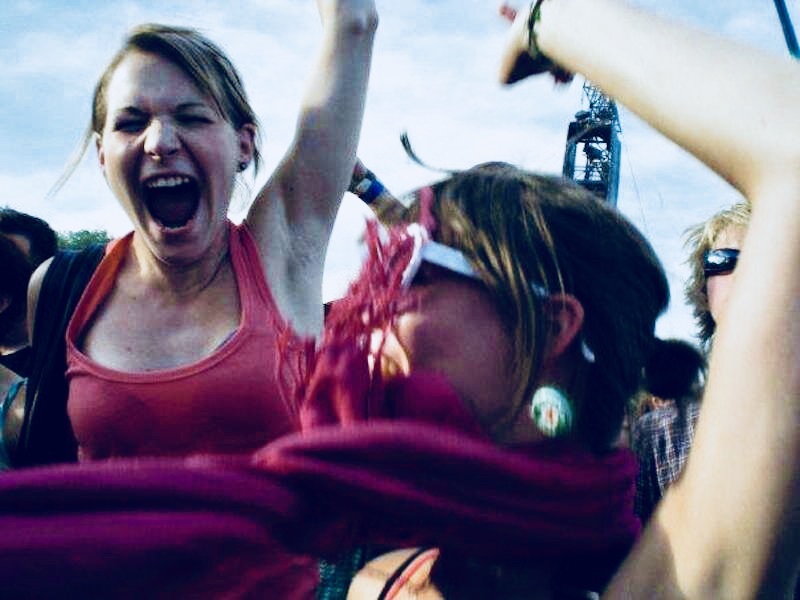 Here, mostly Hungarian bands are playing, so these concerts are a great opportunity to get to know the thriving, as well as the well-established Hungarian music scene. Kobuci Kert – This rather hidden gem in Òbuda opens its doors on April 26th and has live concerts every night late until the end of summer. Come here to see bands like balkan-jazz-gypsy-style Besh o Drom, the iconic Bori Péterfy, the alternative indie-band Zuboly and many-many more. See all of their daily programs and concerts here. Budapest Park – Budapest is kind of THE address to go for spring- and summer open air concerts. It’s a really big and impressive venue close to the National Theatre and features artists like Irie Maffia (dancehall-reggae), Punnany Massif, (rap & hip-hop), Brains (dance-electronic), Wellhello (pop), 30Y (indie-alternative) and many-many more. There is sure something you will like and that will fit your taste. Prepare for an awesome atmosphere and a great night out every time you go! See all events of the 2019 season right on this page. If you’re not sure about the bands and whether they fit your taste, or you simply need an overview of Hungarian bands and genres, we’ve got you covered: See our ultimate guide to the Hungarian music scene right here. We really hope you enjoyed our little collection of Budapest spring-activities. We trust that it helps you make the most of this wonderful season. That it gave you some new ideas and – most of all – brings you all the fun under the sun. Hopefully, you’ll discover some new places within and outside of the city borders, get to know a new Budapest and makes you indulge in all the great activities this city has to offer. Please let us know any further suggestion you have for amazing spring-activities in the comments below. We’re always happy about new ideas! Plus that way you’ll help other people too to make the most of their time in Budapest in spring.